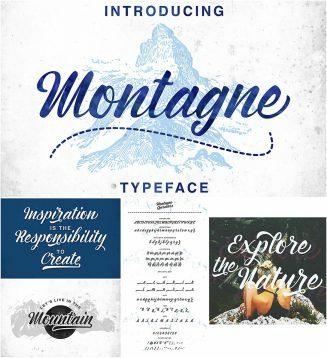 Introducing amazing font- Montagne. Perfect for prints, posters, cards, ads etc. Tags: calligraphy, classic typeface, font, hand drawn, mountain, swashes.